The tomato is a fruit – it contains the seeds of a flowering plant ans therefore it is a fruit or, more precisely, a berry. However, the tomato is not as sweet as those foodstuffs usually called fruits and, from a culinary standpoint, it is typically served as part of a salad or main course of a meal, as are vegetables.The tomato is low in Sodium, and very low in Saturated Fat and Cholesterol. It is also a good source of Vitamin E (Alpha Tocopherol), Thiamin, Niacin, Vitamin B6, Folate, Magnesium, Phosphorus and Copper, and a very good source of Dietary Fiber, Vitamin A, Vitamin C, Vitamin K, Potassium and Manganese. 2. Cut the tomatoes in half horizontally. Using a teaspoon, scoop out the seeds and core. 3. Place the tomato halves cut side up on a roasting tray. Put a pitted olive into each half. Season with sea salt and freshly ground black pepper. 4. Mix the breadcrumbs with half the grated Gruyère. Stuff the mixture into the tomatoes. 5. Strip the thyme leaves from the stalk and mix with the olive paste and mustard. Brush the over the tomatoes. 6. Sprinkle the rest of the grated cheese over the top, then dribble with olive oil. Bake for 20 minutes. 7. Serve warm with chunks of good bread. Pumpkins are part of the cucurbitaceae family (as are cucumbers, courgettes and melons). The are ver versatile in cooking – most parts can be eaten from the fleshy shell, to the seeds, and even the flowers. When ripe, the pumpkin can be boiled, baked, steamed, or roasted. Pumpkins are a good source of beta-carotene, an antioxidant.Current research indicates that a diet rich in foods containing beta-carotene may reduce the risk of developing certain types of cancer and offers protect against heart disease, as well as some degenerative aspects of aging. 1. Preheat the oven to 200C / Gas 6. 2. Cut the pumpkin into chunky wedges and scoop away all the fibres and seeds. Rub the wedges with oil, season well with salt and freshly ground black pepper, then place them into one large or two smaller roasting tins, skin-side down. Transfer to the oven to roast for 30 minutes, or until tender. 3. Remove the pumpkin from the oven and, when cool enough to handle, slice away and discard the skin and cut the flesh into small chunks. 4. Melt the butter in a large pan. Add the onion and half the thyme leaves and cook gently for about ten minutes until the onion is very soft but not browned. Add the roasted pumpkin, any juices from the plate, the stock and one teaspoon of salt. Cover and simmer gently for 20 minutes. 5. Leave the soup to cool slightly, then add the remaining thyme leaves and liquidise in batches until smooth. Return to a clean pan and bring back to a gentle simmer. 6. Stir in the cream and season, to taste, with salt and freshly ground black pepper. Ladle into warmed bowls and place a small handful of the grated Gruyère into the centre of each. Scatter a few more thyme leaves on top and serve. Jerusalem artichokes are also known as sunroots or sunchokes. The jerusalem artichoke plant is a species of the sunflower native to eastern America which produces these edible tubers. They have a sweet, nutty flavour, reminiscent of water chestnuts.Jerusalem artichokes contain vitamin C, phosphorus and potassium and are a very good source of iron. 1. Boil the peeled Jerusalem artichokes in boiling salted water for 15 minutes until tender. Drain well. 2. Preheat the oven to 200C/390F/Gas 6. 3. Melt the butter in a frying pan and fry the breadcrumbs until crisp and lightly browned. Place the cooked artichokes in an oven dish and cover with the breadcrumbs. 4. Roast for 20 minutes, then serve straightaway. Isn’t there enough news this week? Fern Brittain has made the press again! The press show her on the beach in a bikini – both before and after her weight loss. She looks absolutely fanastic now – but why do we have to keep reading about her stomach operation. As I have said before – the operation was her choice and her personal business. Should she think about forming a group – Fern and her Gastric Band!!! Fennel is a bulbous vegetable with a strong aniseed flavour. It can be chopped finely, bringing a crispy texture to a salad and a strong assertive flavour. Cooking makes the flavour mellower. 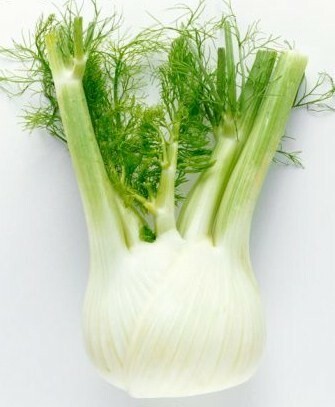 Try to use organic fennel.It is available all year round, but at it best from June to September. This is my favourite method of cooking fennel – it is a classic River Café recipe. 1 Preheat the oven to 180C/Gas 4. 2 Cut the fennel bulb in half and then cut away the tough core. Then cut in half again to form wedge-shaped pieces.3 Heat the oil in a large frying pan and sauté the fennel until it is golden brown on all sides. Transfer to a roasting tin or open casserole dish as it is cooked. Add the rosemary and garlic to the pan and cook for a couple of minutes to soften before sprinkling over the fennel. Season with salt and pepper. 4 Transfer to the oven and braise for 45-60 minutes. Shake the pan a couple of times during cooking to turn the fennel. 5 Remove from the oven, squeeze over a little lemon and serve immediately. Are you aware of how much money you can save by using generic medicines? Generic medicine is unbranded or own brand medicine. These cost a fraction of the price of branded medicine. Look at hayfever tablets: There has recently been a price war and it is currently possible to buy 30 cetirizine tablets for 39p. Can you believe that? Paracetamol and ibrupofen are available for coppers!! Isn’t it time we started looking after our pennies and using these alternatives? Every day recently Fern Britton has been in the press about her stomach stapling. She now has stress and depression!!!! I say good for her – she looks absolutely great. Over two years she has loss five stone – well done, Fern. It’s her body. She can do what she wants with it. She paid for the operation. She does NOT have to tell anyone. At least she is on a staple diet now!!!!!!!! I wish I could stop biting my nails!!! I have bitten my nails for as long as I care to remember. There is nothing that particularly triggers the nail biting. I do it without being fully aware of what I am doing. Periodically, I have a concerted effort to stop and break the habit. And that time has come again. My best success was about five or six years ago. I used a process called the paradigm shift as advocated by Tony Robbins. The first stage is to think about what it will be like once I have stopped biting my nails – what will I feel like, what will I look like, what will I hear. It is necessary to think about these things in great depth to such an extent that I can look at the existing nails and see the new nails. Constant and in depth thought bring about a situation where by when ever I look at my nails, a vision is created of the new nails preventing me biting. Five or six years ago, I reached the stage where my nails were long enough to go to a nail bar and have them manicured and painted. I was so proud. My down fall came when returning home from holiday abroad. On a prior occasion, we had returned home to find that the water tank had been over flowing, leaving the lounge flooded and a collapsed ceiling. This has resulted in every holiday having an intensely stressful homecoming. I bit all ten nails within about ten minutes!!! So, it’s time to try again!